Listening to the latest marketing news articles being read to you by a personalised voice chatbot in French or Dutch? 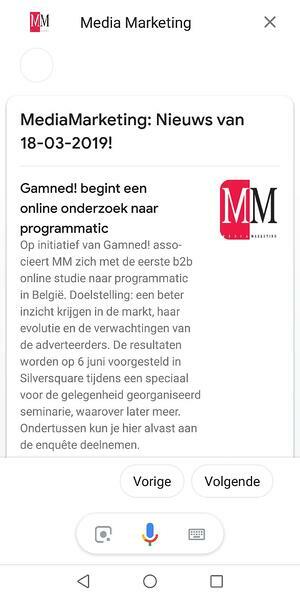 It's now possible with a new voice bot that literally speaks to you in the name of Media Marketing, a communication platform for marketeers in Belgium. Fourcast created the bot together with partners Wavemaker and Acapela. It's the very first voice chatbot of this kind in Belgium and even in Europe. 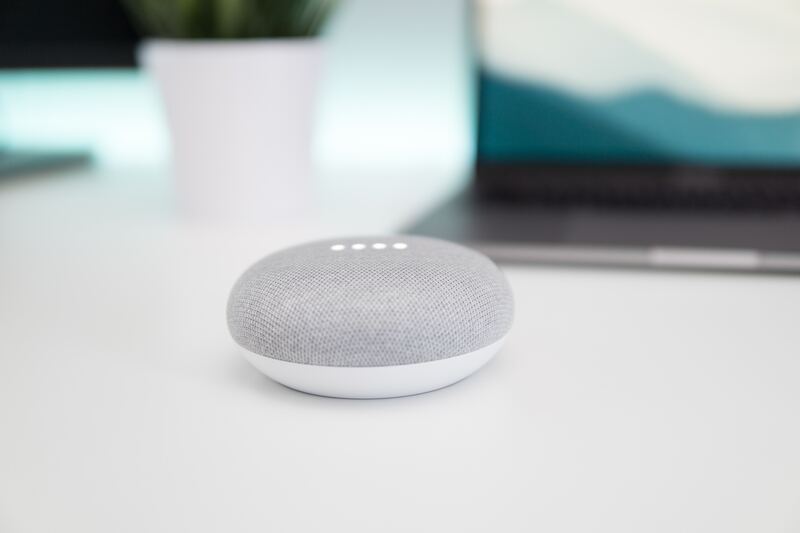 You can now talk to the Media Marketing voice bot through Google Assistant, for example on your phone or via a Google Home. Read on to see how we came to this pioneering result and how voice bots like this one will demand marketeers to start doing voice marketing. That's just how easy it is to start talking to the new Media Marketing voice bot. Just saying "Hey Google, parler avec Media Marketing" or "Hey Google, praten met Media Marketing" to your Google Assistant on your phone (Android or iOS) or Google Home will trigger the Media Marketing voice chatbot to start in the French or Dutch version. Make sure your Voice Assistant is set up for French and/or Dutch if you want to test this. After that, you get a short introduction of how the voice bot works. First, the bot reads out loud the 3 latest marketing news article titles of the day. You can then ask Media Marketing to read one of those articles to you, or to suggest more article titles. All just by giving it simple voice commands. Interacting with this voice chatbot and being able to navigate through news articles just by using your voice are strong features. You can imagine dozens of situations where you can't really read articles but only listen to them, like for example while driving your car or jogging. This pioneering voice bot makes Media Marketing the first ‘speakable’ brand of Belgium, with its own voice app and own custom voice to make interaction with its readers possible through voice. The innovative side of this voice chatbot lies in the fact that it's not making use of the standard Google voices that come with the Google Assistant out-of-the-box. Instead, the bot is using a custom built voice in French and Flemish. No other brand will be able to use these voices, which are created artificially. The voices can generate a voice version of any content for Media Marketing. In fact, this unlocks two European “premieres” in one shot: the first custom voice for a brand and the first Flemish voice, which is not supported by any smart speaker in the world up until now. Dutch is available as a language for Voice assistants like Google Assistant, but it doesn't take into account the language difference with Flemish. It's not a coincidence that this first voice chatbot with a personalised artificial voice is created for a marketing media platform. Marketeers who are following the latest marketing trends already know for years that voice marketing is up and coming. In the US voice marketing is already no future trend anymore, but a daily reality. Consumers there are more and more buying through their voice assistants. 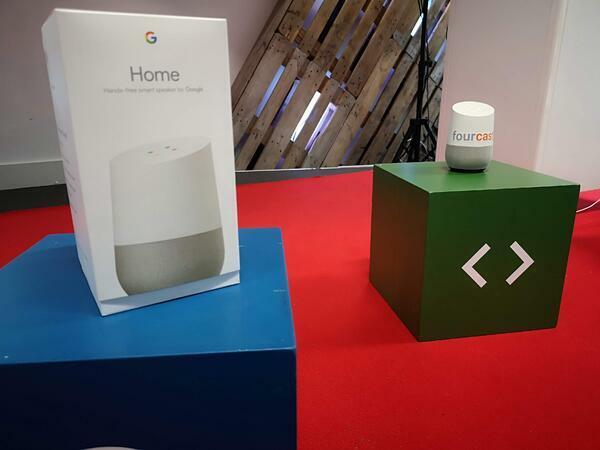 With the introduction of smart speakers like the Google Home and Amazon Alexa in people's homes in Belgium, this part of marketing is becoming more important to brands also in our region. The goal of voice marketing is for brands to be able to talk to and interact with their customers and potential buyers, literally. Voice marketing is often still seen as a challenge, as it means a change of ongoing marketing tactics. Optimising Google Search results for voice for example, will change how SEO is done nowadays. Using speech, users search for things differently than when they're typing. Voice marketing thus might scare some marketing departments who are not prepared for this change. But it also opens up a lot of opportunities for marketers, specially now that we're only at the beginning of this change and innovation. Now is the time to start taking into account voice marketing in your marketing plans and take advantage of the new platform that voice is giving your business to interact with customers and prospects. Which kind of voice do you want for your brand? Through which channels do you want your brand to interact with users via voice? What is the goal of your voice marketing? Is it selling a certain product? Creating more engagement with your app users? Raising awareness about your brand? Which types of content do you want to make available through voice? One challenge for marketeers will be the way they create content for voice marketing, something we also discovered with our partners in this pioneering voice chatbot project. It doesn't just suffice to have your brand voice technologically in place in your voice bot tool (like Google's Dialogflow) and to let it read your existing content out loud. Content for voice has its own requirements in comparison to written content. In voice marketing, it will be as a consequence important to think about different ways of creating content for written and voice channels. Without a doubt, a lot more voice chatbots will go live in the coming months and years. Innovative brands will incorporate voice marketing in their strategies and create related voice products and apps to increase sales and awareness, generating engaged buyers and build overall trust and spark interaction with their customers and target audience alike. The ways in which you can interact with brands through speech will expand and in the near future, you will be able to do more and more with your Voice Assistants. From buying a car to scheduling an appointment at the dentist, from booking a hotel to shopping a trendy outfit: the use cases are nearly endless. Do you want to take action right away and get started with a voice chatbot project yourself? Download our Chatbot white paper or talk to us! We're happy to discuss your specific needs and challenges. The creation of the Media Marketing voice bot has been made possible by a strong collaboration between our partners Acapela Group (custom voice builders) and Wavemaker Belgium (Media Agency). Thanks to them! Copyright © 2019 Fourcast. All Rights Reserved.